THIS SWEET LITTLE IMAGE IS A FREEBIE ON A DAY FOR DAISIES CHALLENGE BLOG. HELP YOURSELF WHILE YOU CAN. IT WON'T BE THERE LONG. Thanks, Carol. You'll laugh, I thought the challenge at ADFD was painterly and I had to scour the internet to see what it meant AND I had to look at pictures. Absolutely gorgeous! Thank you so much for playing with Barbara and I in the Mod Squad Challenge Blog's "April Showers Bring May Flowers" challenge this week! Gorgeous card Bunny! I love your coloring and the bright pink! Thanks for joining us this week at QKR Stampede! 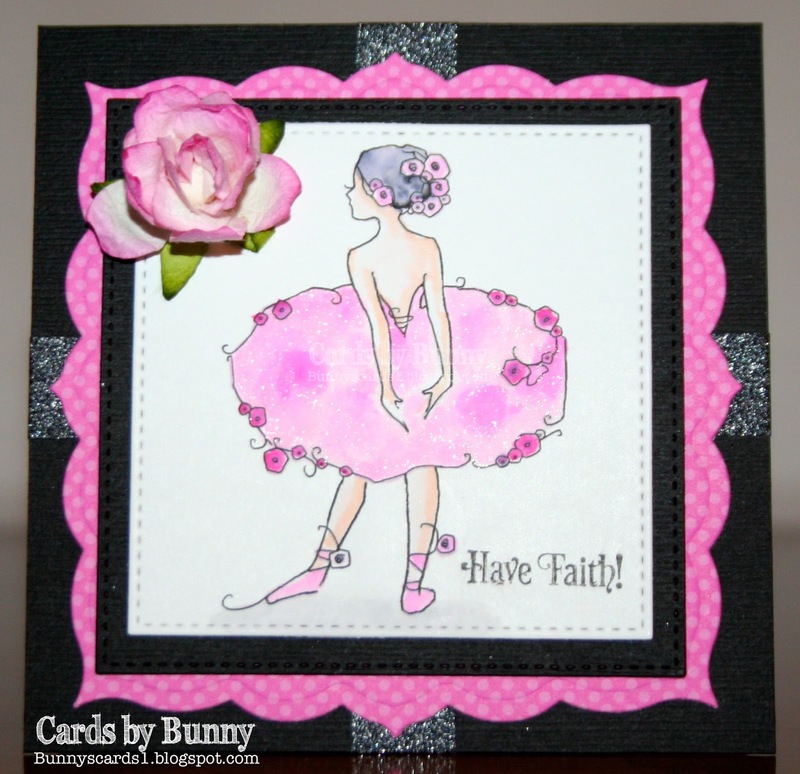 This card is so pink, pretty and precious! Thanks for adding paint and sharing over at the A Day for Daisies Challenge. Good luck in the draw!